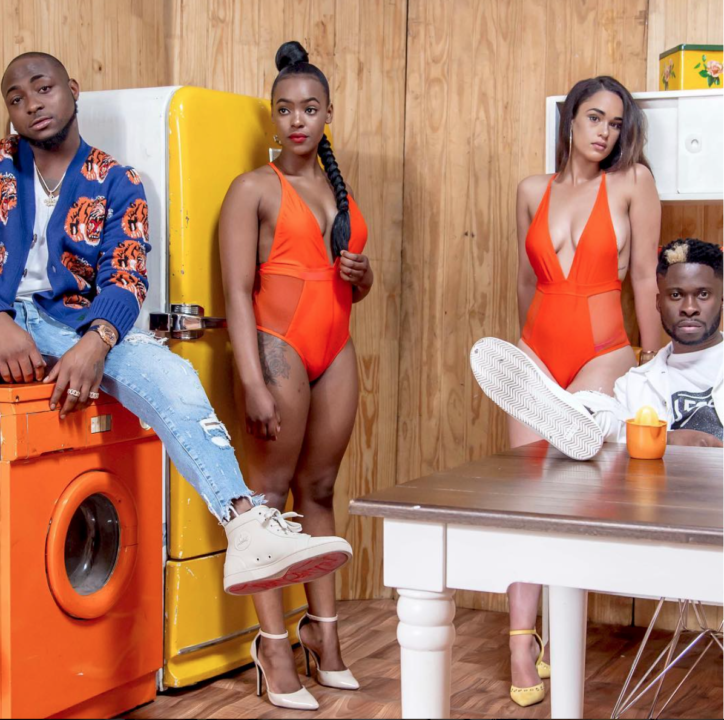 DJ ECool & Davido song – Ada, Oyedepo warns Buhari on Fulani Herdsmen and Bruno Mars new single – Finesse featuring Cardi B top YouTube’s most popular videos in Nigeria in January. [Lagos] 2 February 2018 — A look at the top 10 most watched YouTube videos in January 2018 reflects the type of news, comedy and music that captured the attention of Nigerian YouTube users in the last 31 days. The list, which is dominated by Nigerian music and non – music videos, shows users interest in indigenous music videos as well as prophetic preaching by popular pastors on matters of national interest. On the global front, the only foreign music video that made the list was newly released single by Bruno Mars – Finesse featuring rapper Cardi B.
DJ ECool kicks off the year with his much anticipated single “Ada” featuring Nigerian singer and songwriter, David Adeleke, commonly referred to as Davido. This colourful music video was also released in audio and has enjoyed the most viewership from Nigerian YouTube users in the month of January. Following the recent massacre in Benue State by Fulani Herdsmen, which plunged the nation into deep mourning on New Year’s day, senior pastor of the Megachurch Faith Tabernacle in Ota Ogun State, Bishop David Oyedepo, gave a sermon warning President Buhari about the consequences that may arise if they do nothing to end the killing of innocent people. “Finesse” by American singer and songwriter Bruno Mars, featuring Cardi B, makes nostalgic references from the 90’s. The hit single has climbed to number three on the Hot 100 chart, marking Bruno Mars’ fifteenth and Cardi B’s fourth top 10 single on the Hot 100 list. New solo artist, Paul Okoye aka Rudeboy, one half of singing duo PSquare, kicks off 2018 with the long awaited video for his latest song, Nkenji Keke. Sensational comedian Lizzy Jay Adebola, popularly know as ‘Omo Ibadan’, is rocking the social media scene with her new comedy skits. In this video, viewers crack their ribs as she sings her version of Davido’s ‘FIA’. This video captures Nigerian hip hop recording artist, Olamide dancing to his latest hit song ‘Science Student’. Due to the controversial lyrics of the song, the National Broadcasting Commission (NBC) has placed a ‘Not To Be Broadcast’ (NTBB) ban on the song, making YouTube viewers’ only option. The General Overseer of The Redeemed Christian Church of God (RCCG), Pastor Enoch Adejare Adeboye, revealed his prophecy for 2018 at New Year. The prophecy was made at the crossover service to usher in the new year at the Redemption Camp headquarters along the Lagos – Ibadan expressway. Ace comedian, Otolorin Kehinde Peter, also known as Kenny Blaq, delivers an amazing performance with a unique blend of music, wit and wordplay at his January 1st gig ushering fans into 2018 with loads of laughter. Marvin Records golden boy, Ayoleyi Hanniel Solomon, better known by his stage name Reekado Banks, released a video for his latest track “Like” which features Tiwa Savage and Africa’s famous recording guitarist “Fiokee”. The video, which made it to number 1 within weeks on the charts, was released on his birthday. Traditional wedding are taken very seriously in Nigeria. This is because it’s during this ceremony that the parents of the bride-to-be give her to her intended husband, after performing several culturally-significant rites. In this video, Channels Television captures the moment one of its top presenters, Maupe Ogun marries her fiancé, Mohammed Bamidele Yusuf, in a traditional ceremony last December. Launched in May 2005, YouTube is the world’s most popular online video community allowing billions of people to discover, watch and share video. YouTube provides a forum for people to connect, inform and inspire others across the globe and acts as a distribution platform for original content creators and advertisers large and small. For more information, visit our Google Africa G+ page or our Google Africa Blog: google-africa.blogspot.com.